If you draw I can make buttons of your work to sell! I have a 2 1/4 inch button making machine. I can make pins, keychains, and fridge magnets. My idea is: I bring blank button template sheets. Your customers ask you to draw a custom image on the template. At the end of the night I would come around to all the tables and pick up the filled in button blanks, make the buttons, and then deliver them to you in the morning (Like around 10am). I would charge one dollar per button and then you can charge whatever you want over that. You would just need to tell me how many you want before the con. It will help me know how many button piece sets I need to bring. What do you guys think? Anyone interested? 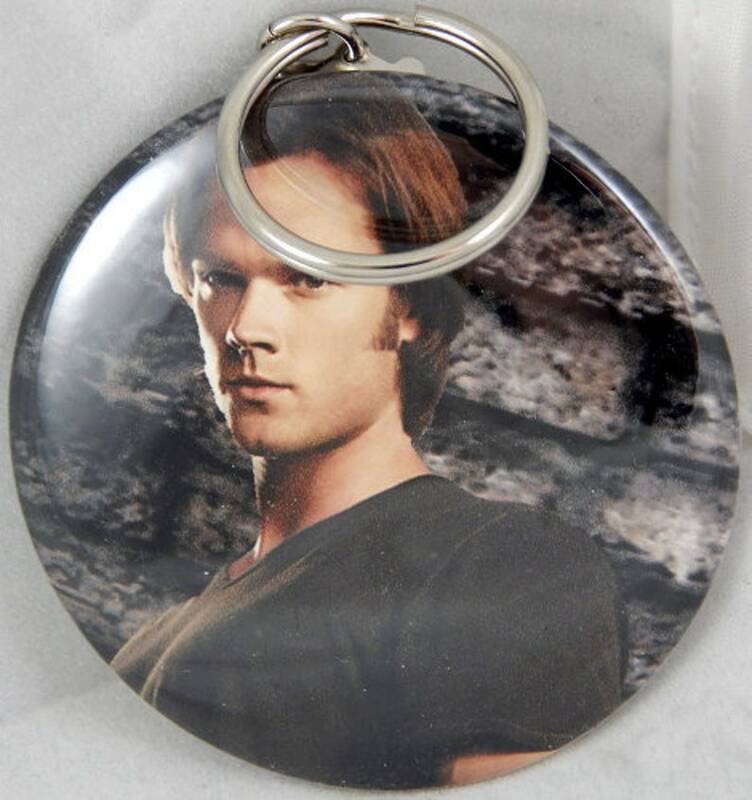 This is a Supernatural keychain I made.